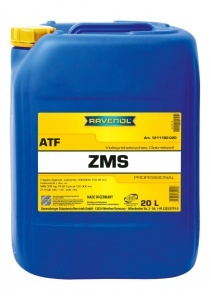 RAVENOL ATF ZMS is an Automatic-Transmission-Fluid (ATF) specially developed for heavy-duty ZF automatic transmissions used in commercial vehicles. It was developed using a synthetic PAO base oil blended with a special selection of additives and inhibitors to produce excellent thermal and oxidation stability and adhesion factor performance. This guarantees the fault free functioning of the automatic transmission. It provides excellent flow properties even at low temperatures and guarantees maximum wear protection in every operating status. In vehicles with older ZF transmissions, it improves reliability, counters vibration and ensures particularly smooth gear changes. 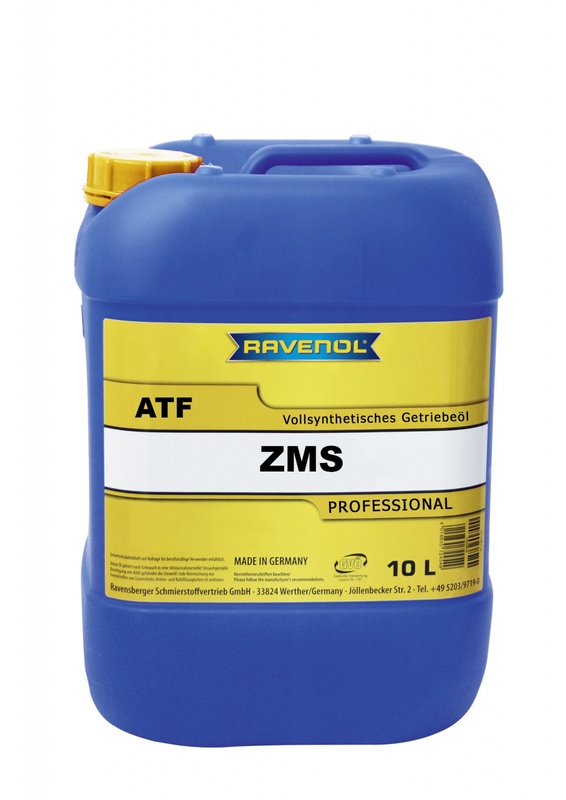 RAVENOL ATF ZMS is especially suitable for local and regional buses and coaches, fire engines and trucks where heavy loads, demanding topography, stop-and-go traffic and frequent retarder operation are encountered. It is particularly recommended for applications with oil sump temperatures from 80°C up to 110°C according to ZF specification. Oil and filter change intervals for Ecomat transmissions in buses up to 150,000 km, or every 3 years. Oil and filter change intervals for Ecomat transmissions in trucks, construction machinery and special vehicles during normal use (fire engines, construction vehicles and dumpers with high driving distances) after 2000 hours or every 2 years. Oil and filter change intervals under demanding conditions (refuse collection vehicles, vehicles with high off-road times (low distance, high gear shift rate) after 1500 hours or once a year. Please note, this special transmission fluid was specially development for ZF commercial gearboxes and cannot be selected on the basis of technical parameters (viscosity, etc.). Therefore the decision was made not to give technical data.